Having a paver patio built on your property is a job to be trusted to professionals only. The Employees at Elks Lawn Care & Landscaping have both the training and experience to build your patio to perfection and complete it on time. We take pride in taking the customers vision and bringing it to reality using the top brand of interlocking pavers, Belgard. We are constantly taking classes on new ways to build paver patios as well as keeping up to date on the latest trends in the landscape industry. You can count on Elks Lawn Care and Landscaping Inc to design and build the best paver patio possible for your home or business. Contact us today at 252-229-0677 to speak with a designer. Adding a paver walk way is an easy way to add character to your landscape. Having a paver walkway to your front door, patio or pool is a great way to invite visitors to your property in style. 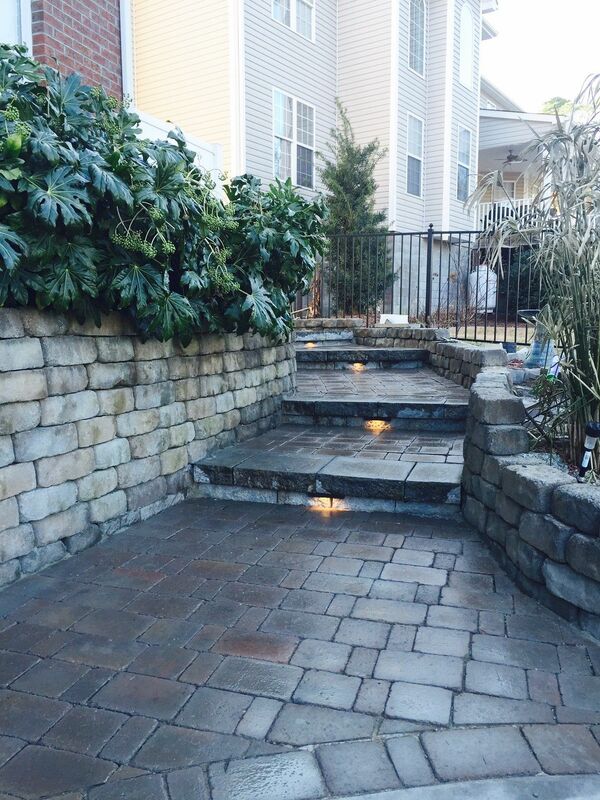 Interlocking pavers are used in place of poured concrete or rock walkways and patios. The benefits to using interlocking pavers is that rain water run off seeps in between the pavers to help the water return into the earth. 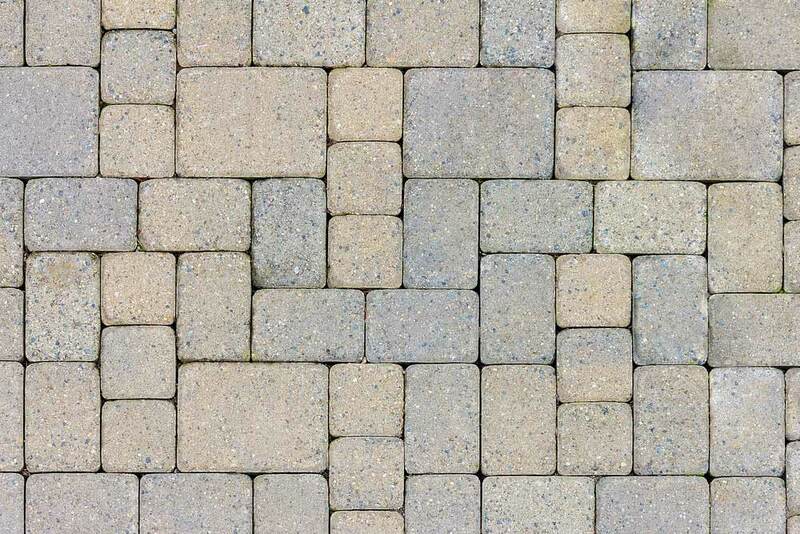 Other advantages to interlocking pavers is the fact that they will not crack due to roots pushing up from underneath. If roots push the pavers up you can simply pull up the couple pavers that were affected, cut out the root and install back to specs. If you live in New Bern, Emerald Isle, Havelock, Morehead City, Jacksonville, Greenville or Atlantic Beach, Elks Lawn Care & Landscaping can provide you with a free estimate on a paver patio design. We have been providing commercial & residential paver patios to customers in Eastern North Carolina for over 20 years. 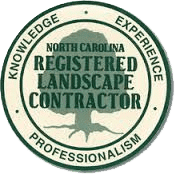 Contact us or give us a call at 252-229-0677 and let our staff come out, understand your hardscape project, and help you turn your dream into a reality.